Several bookstore trips in a row brought this devotion to my attention, and finally I decided to purchase it. About a month into the daily readings (and an out of state move later), I managed to lose the book, and I truly missed it. I made another quick trip to the bookstore and picked up a second copy – and because I tend to purchase mostly books residing on the sale rack, I think this says a lot about my feelings toward the read! Faithbook of Jesus is written by Renee Johnson, a young blogger and devotional leader that specifically ministers to young adults (20 somethings, as she says). Johnson has an exceptional way of taking a Bible passage that is fairly well known and offering relevant, relatable, and extremely readable content that challenges and encourages. Each daily reading features a Bible verse (or verses), her insights and the devotion portion, a quote from one of her blog followers, a quick directed prayer, an invite and resource to share and discuss, and further Scripture reading suggestions (and definitely take her up on those!). Because this devotion is geared toward young Christians, her focus seems to be instruction and direction on how to remain in the world, yet not of the world, a solid Biblical principal. Within this framework, Johnson discusses topics like how to share your faith, find joy in discouragement and trials, and remain centered on Christ in an increasingly secular world. Many of her topics are geared to newer Christians or those struggling in their faith, but Christians at all stages of the walk can certainly benefit from the classic reminders and challenges as well. 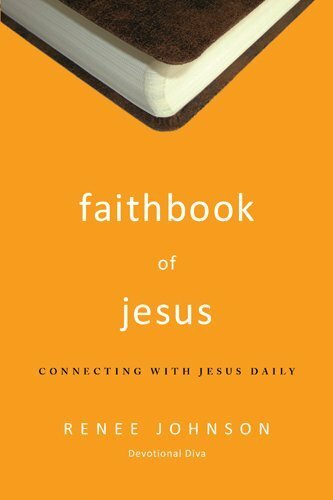 Johnson does not subscribe to a certain theology, denomination, or type of Christian thinking (or rather, if she does, it does not come through in her writing), and I think her interpretation of Scripture and her ability to connect it to relevant struggles of 20-somethings makes her devotion a great addition to a collection of Christian nonfiction/devotions. It’s obviously not a deep study of theology or of Biblical history, etc, but I don’t think that’s the purpose – these are meant to be brief, easy reads offering some new insights that make you think and reconnect with what is truly important.